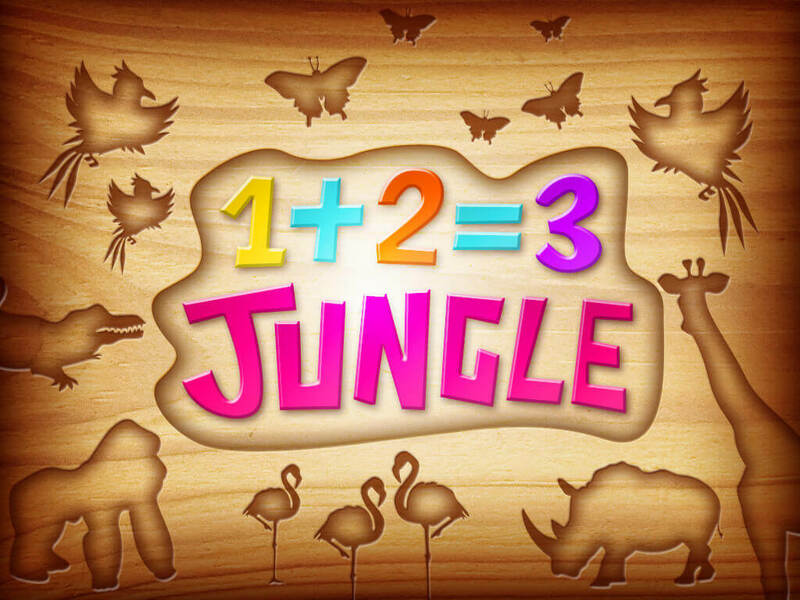 Visit the jungle, complete first puzzles, and practice addition with 1+2=3 Jungle for kids from 2-6! 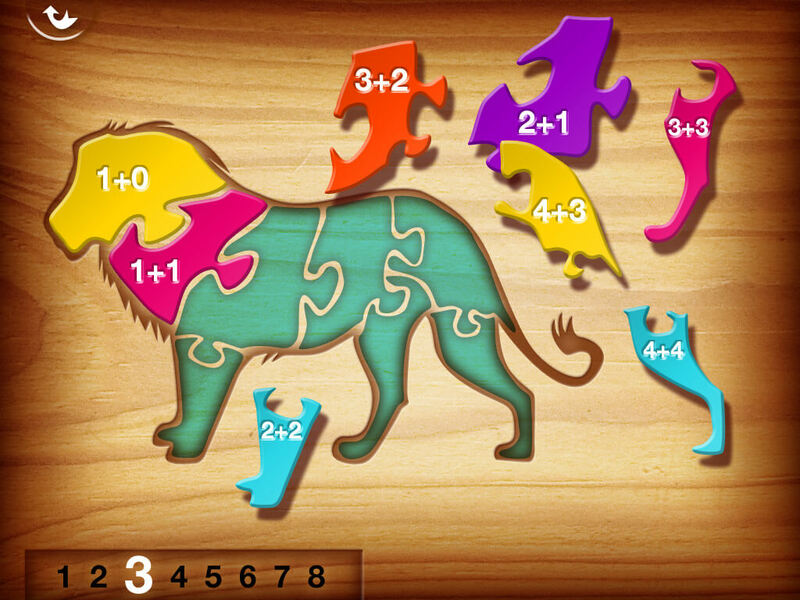 Put together the gorilla, lion, rhino, hippo, and many more! 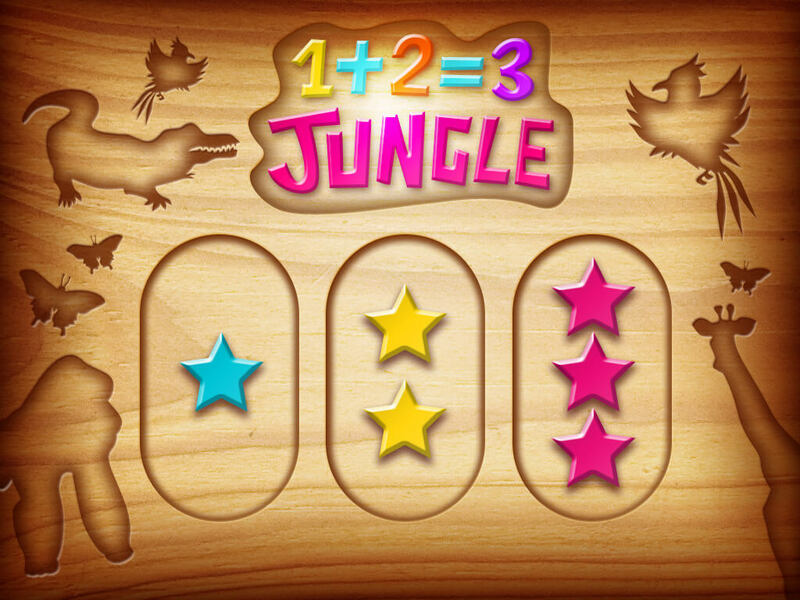 This educational game grows with your child from a toddler solving the simple interlocking piece activities in level 1 up to grade 1 with multiple step thinking processes developing mathematical, spatial, and motor skills in level 3. Addition problems range from 1+0 to 6+6. 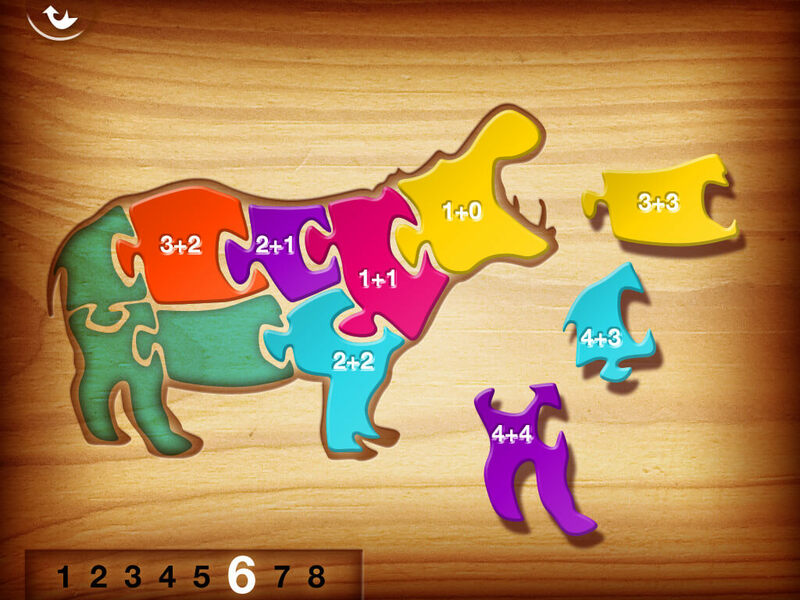 The first 3 puzzles in each level are free; the other 12 can be unlocked in all 3 levels with a one-time in-app purchase. 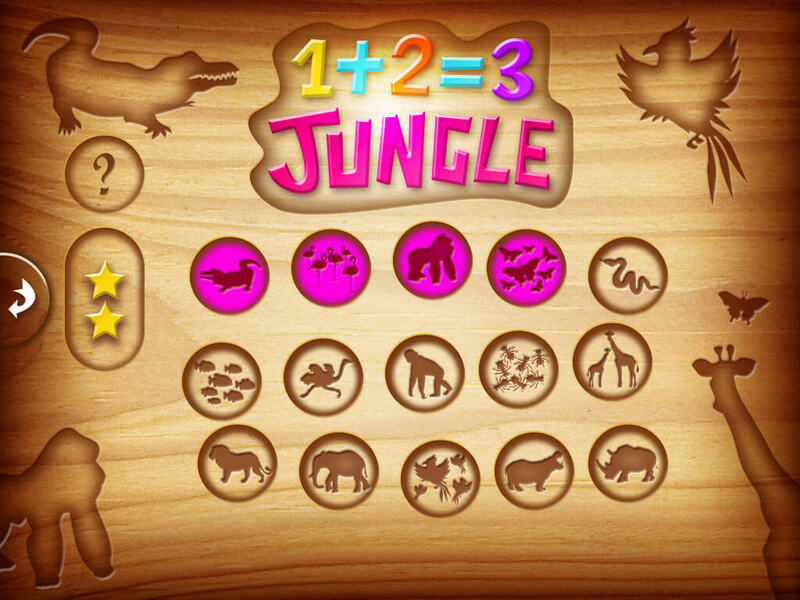 Exotic sound effects, jungle animals to unlock and solve, and a beautiful, easy to use design make this educational game an adventure your children will want to explore more than once!